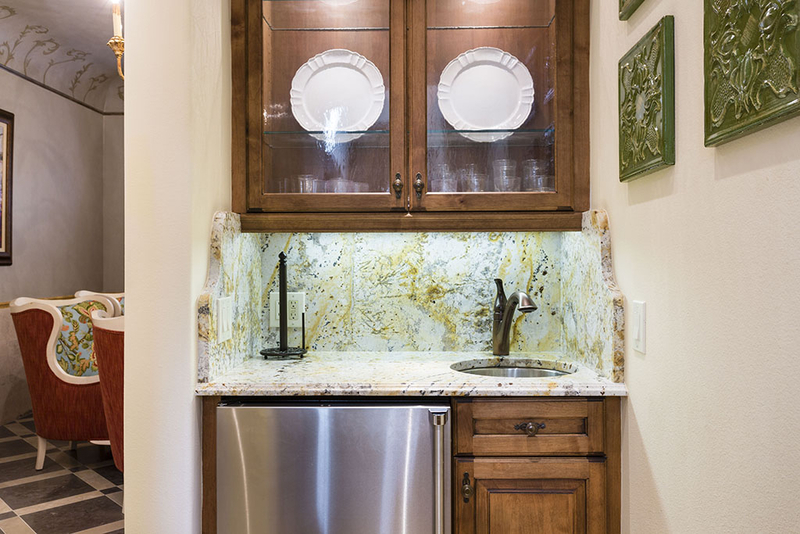 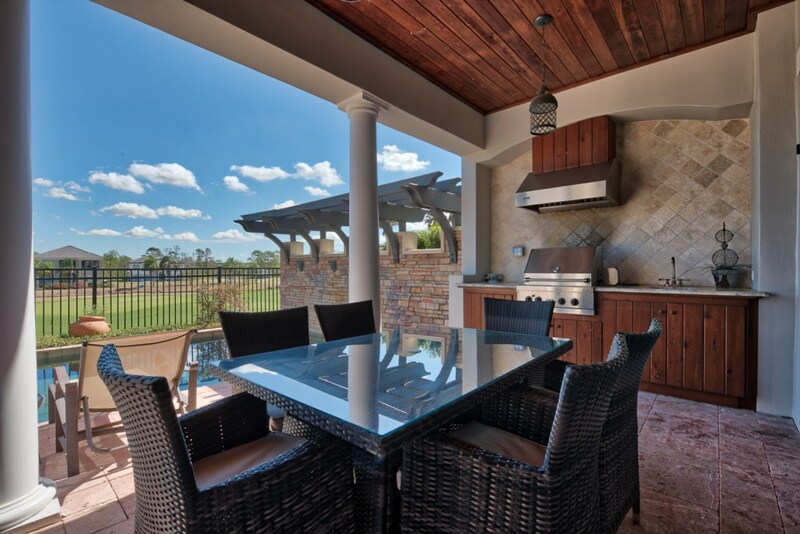 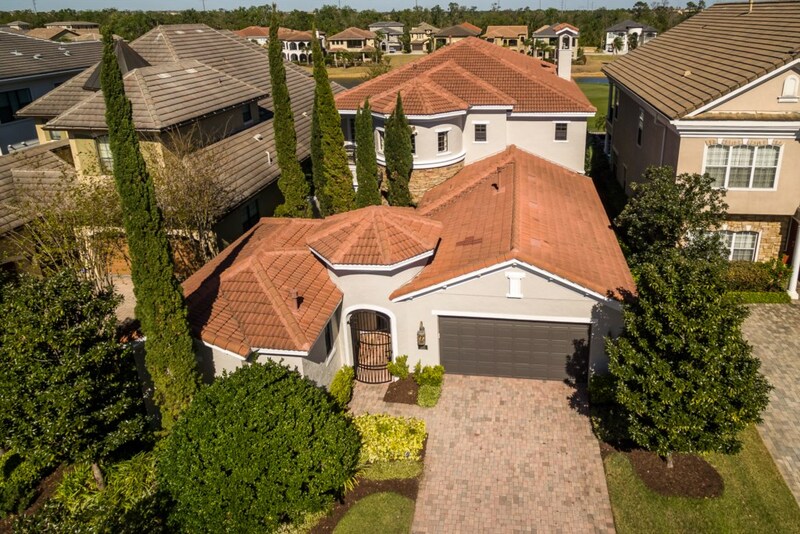 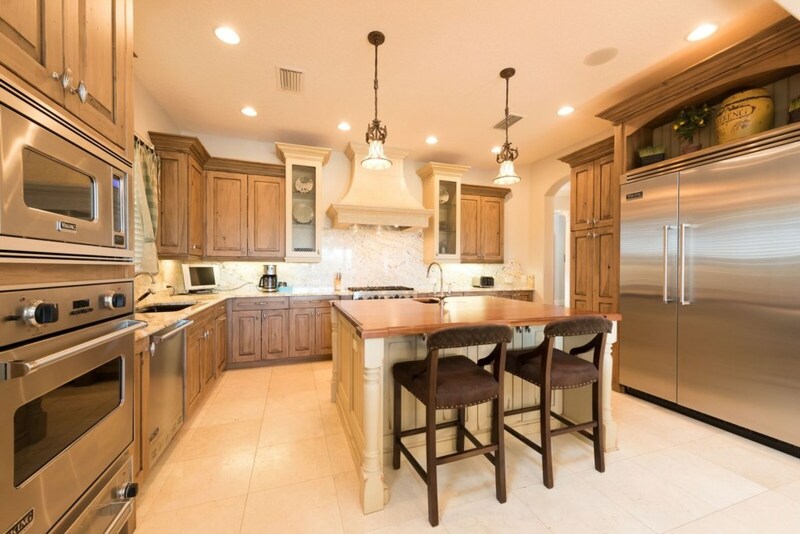 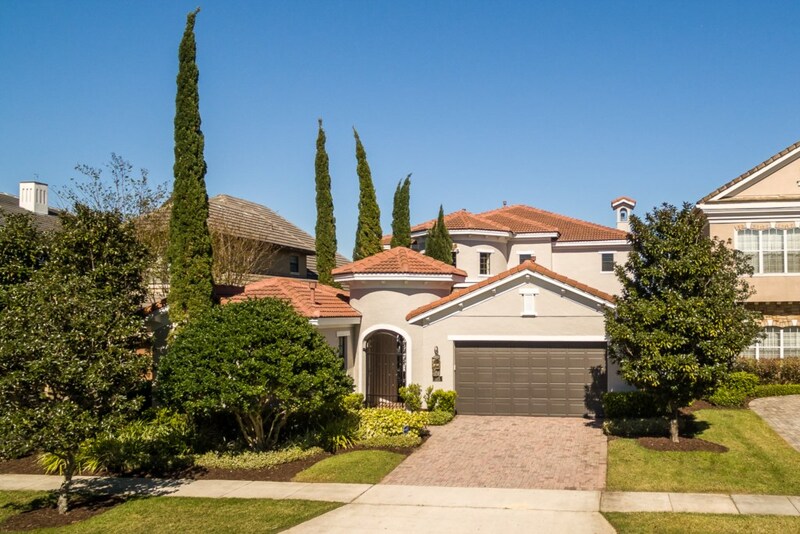 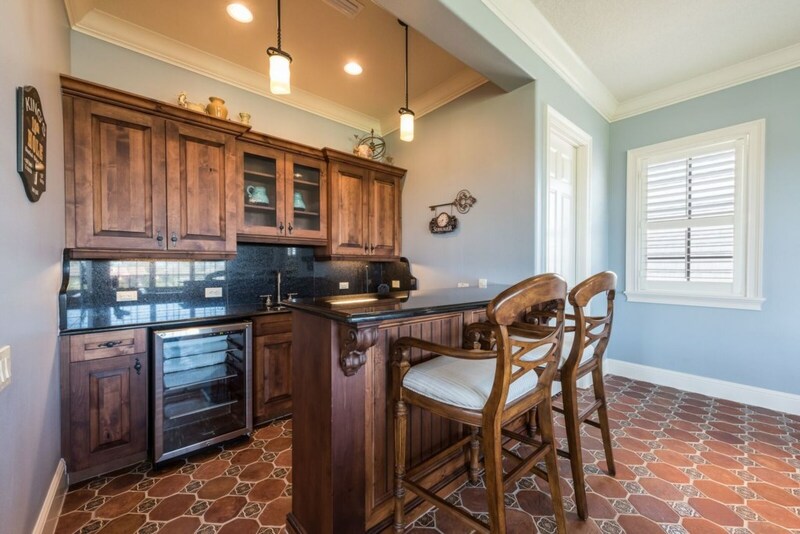 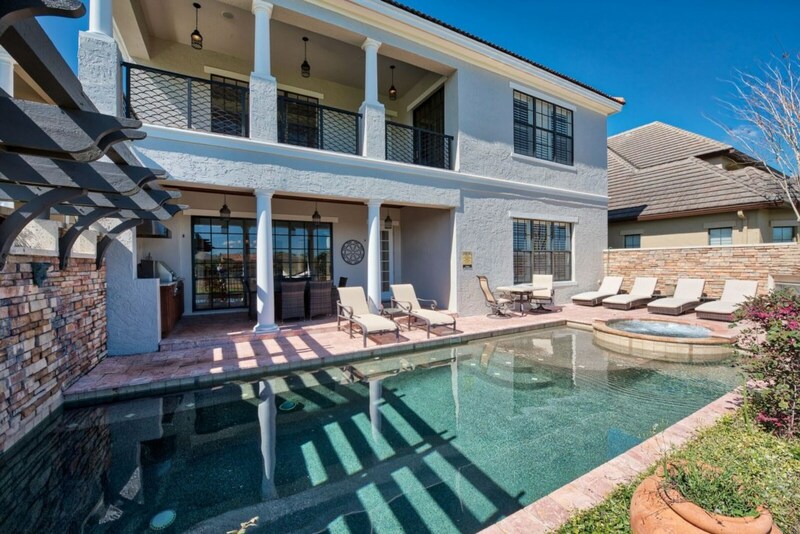 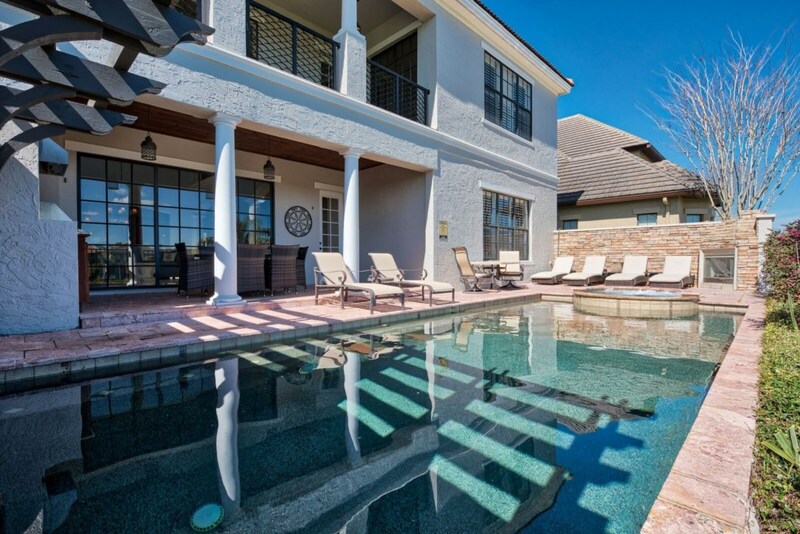 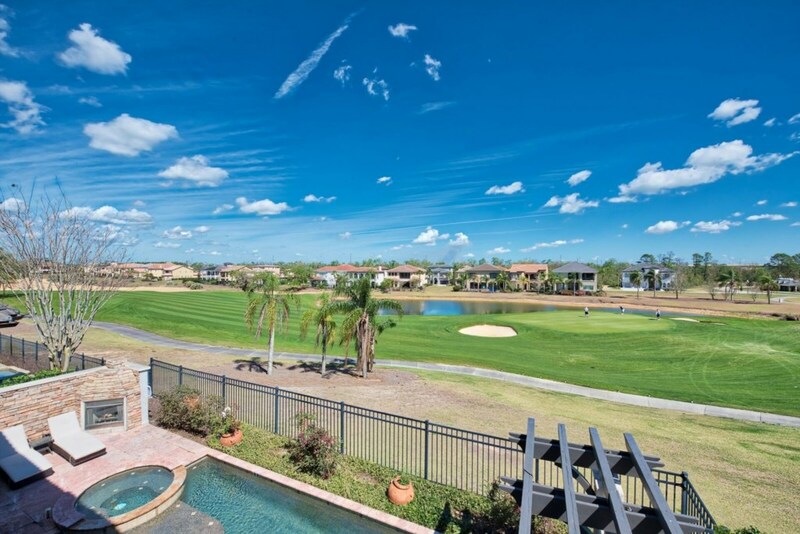 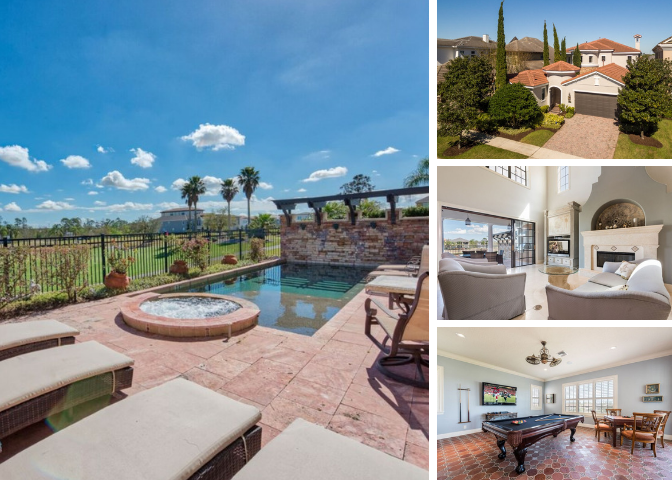 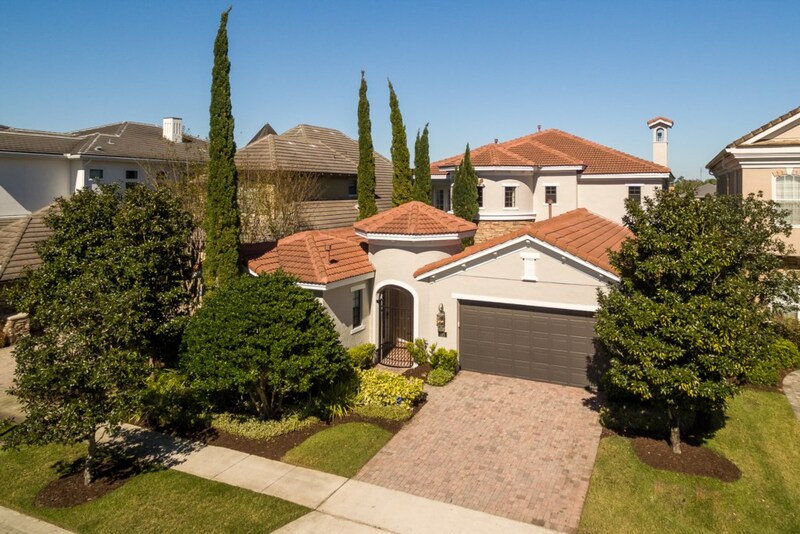 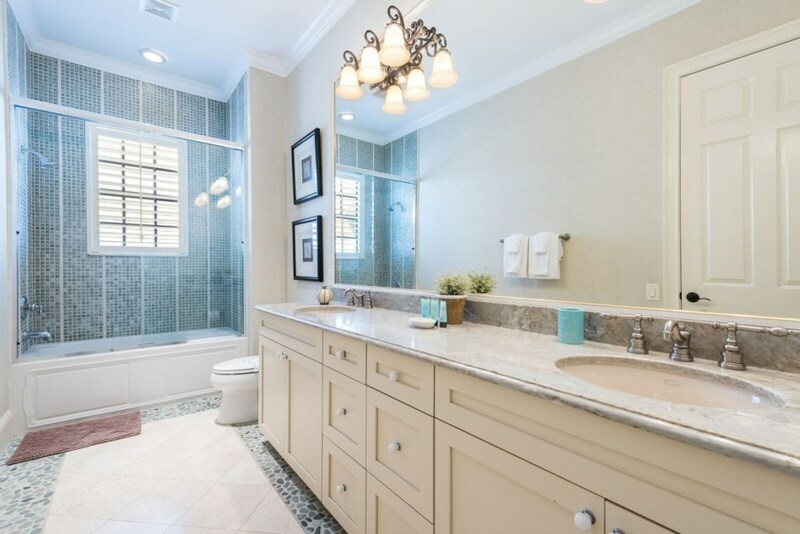 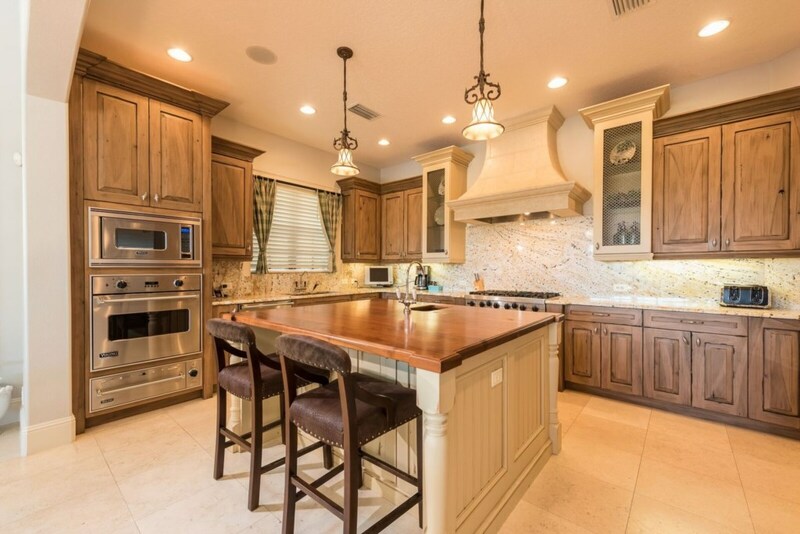 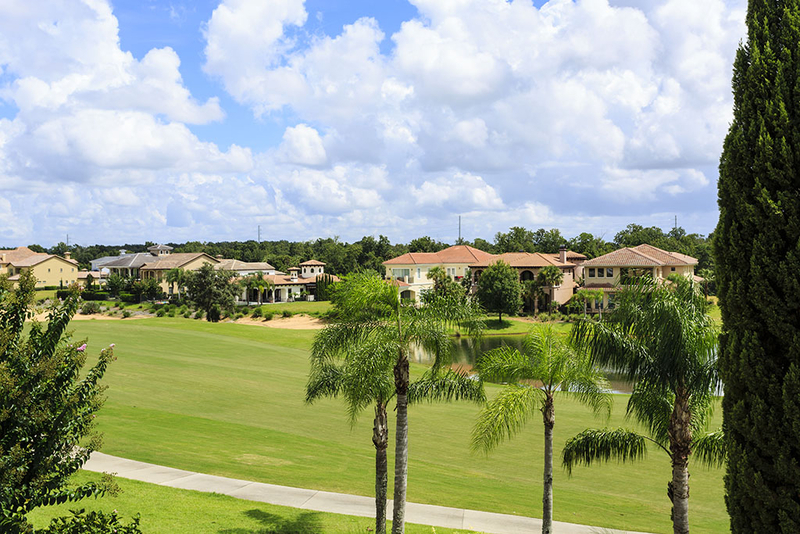 This outstanding home has been a private residence on Muirfield Loop within the Reunion Resort and so boasts numerous upgrades throughout the home. 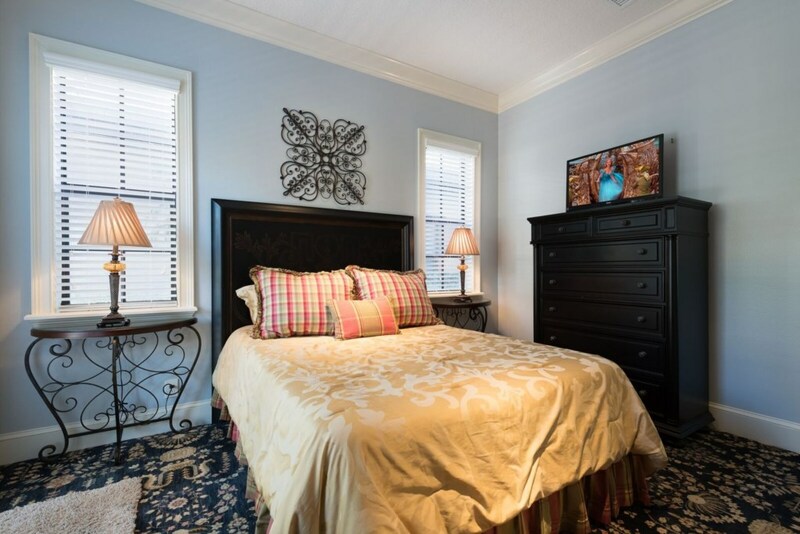 The main house has five bedrooms; three on the ground floor and two upstairs. 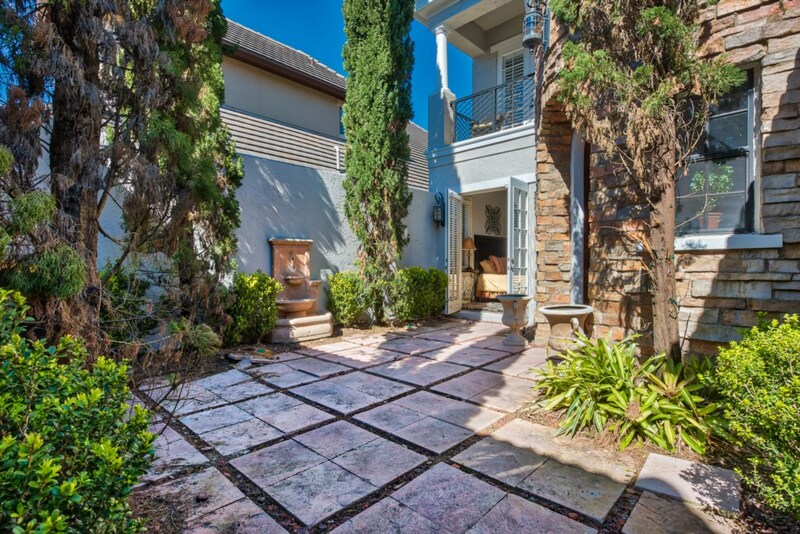 The separate guest house across the courtyard from the main house is perfect for in laws, older teenagers or staff. 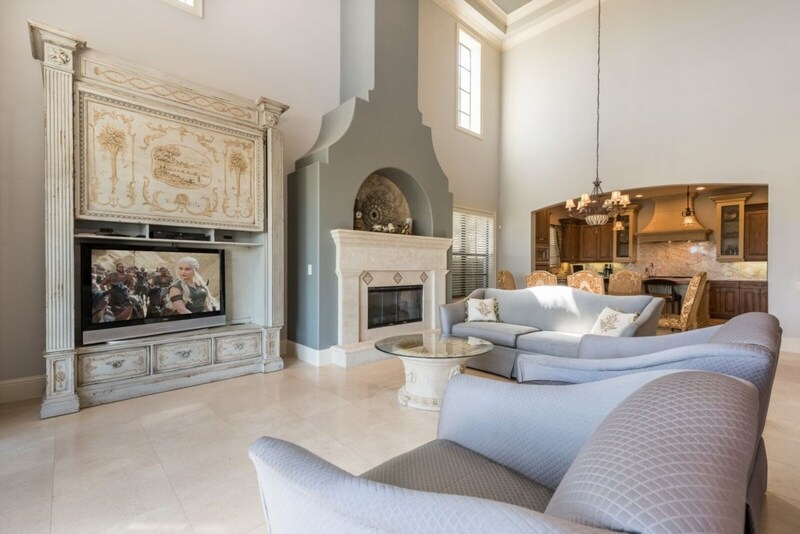 Having been a model home for one of Reunions preferred builders the home was decorated using bespoke paint techniques and furnished to the highest standard. 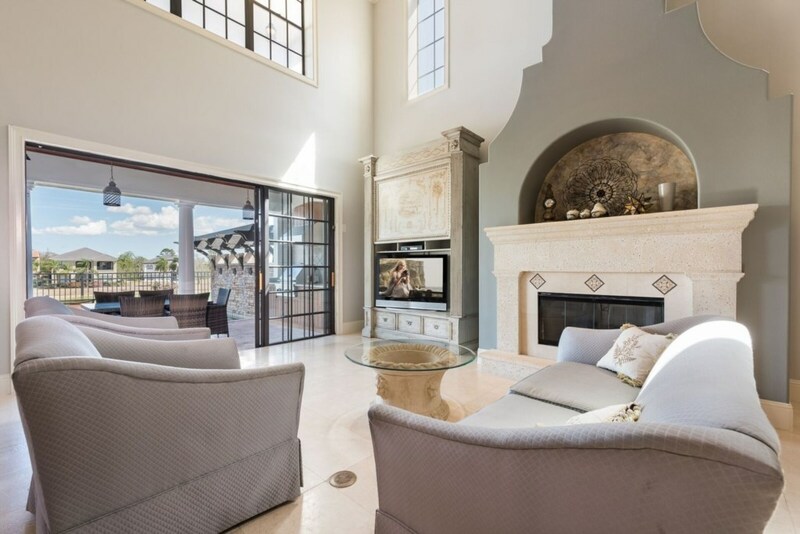 The outside facade of this custom home is so appealing. 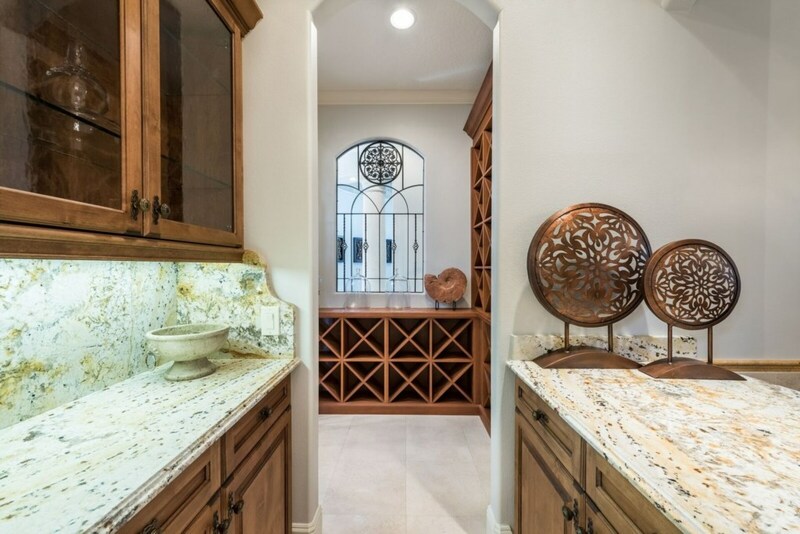 The wrought iron gates lead into the courtyard where you can also access the private casita (guest house) with it's king-size bed and ensuite bathroom which has a tub shower combination. 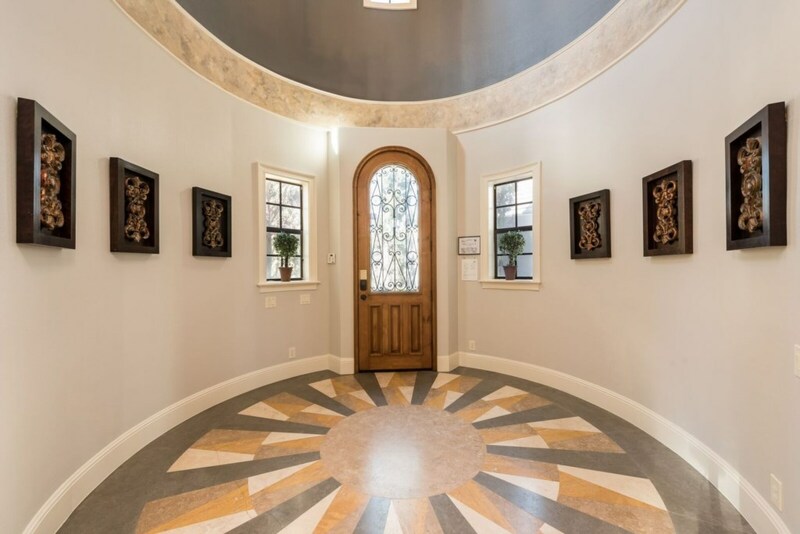 In the main house you enter the circular hallway with it's large chandelier into the open plan living area which incorporates a fully fitted kitchen with large granite island overlooking the casual dining area and bright spacious great room with feature stone fireplace all overlooked from the gallery landing above. 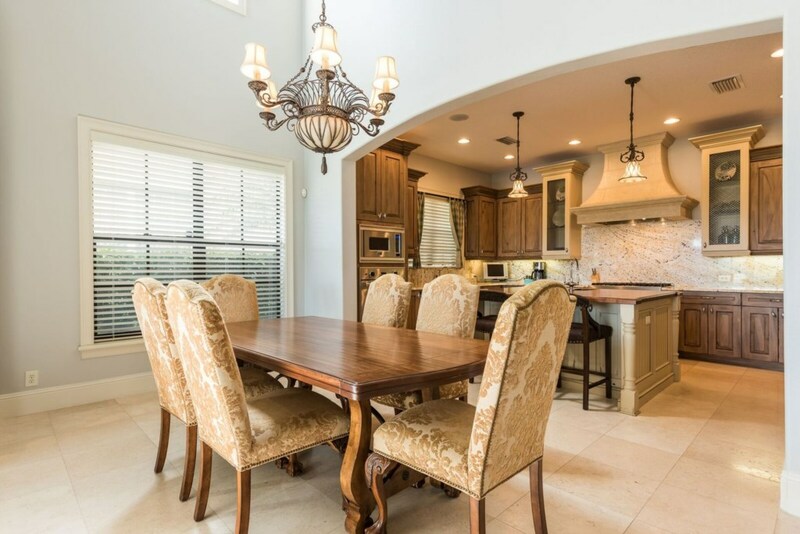 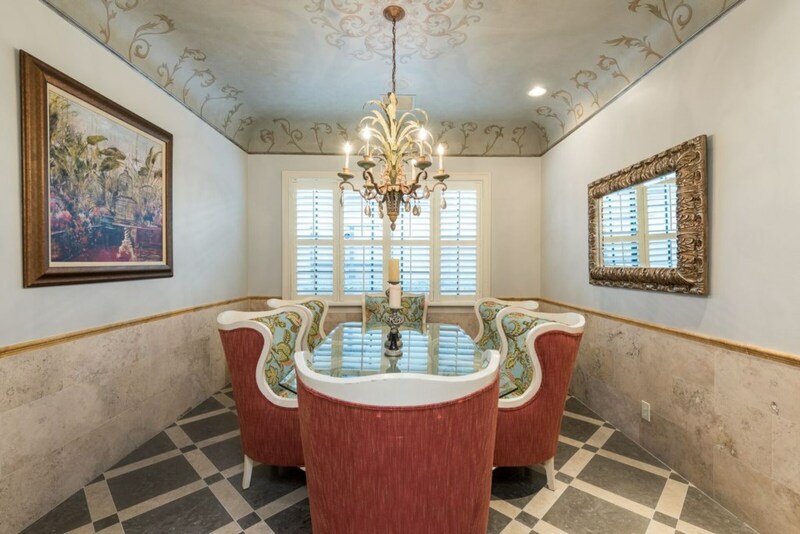 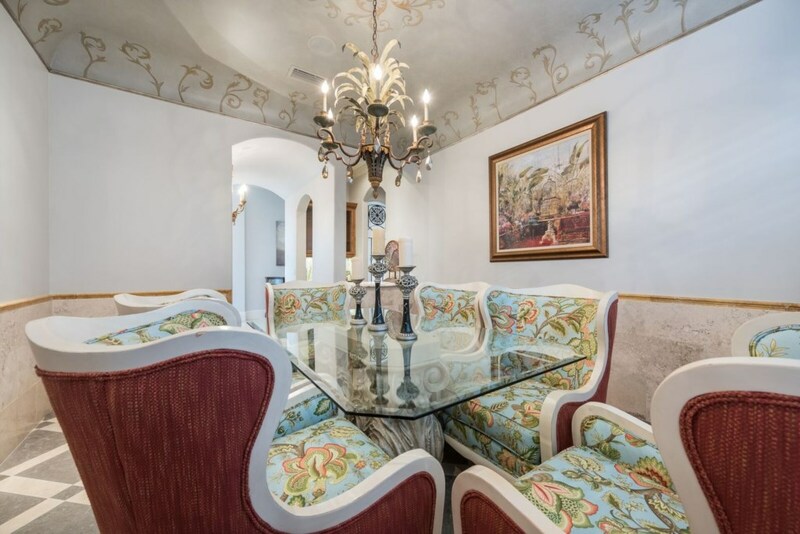 Across the hallway and separated by an purpose built wine store and servery is the formal dining with it's custom decor and furnishing a perfect location for a dinner party or celebration. 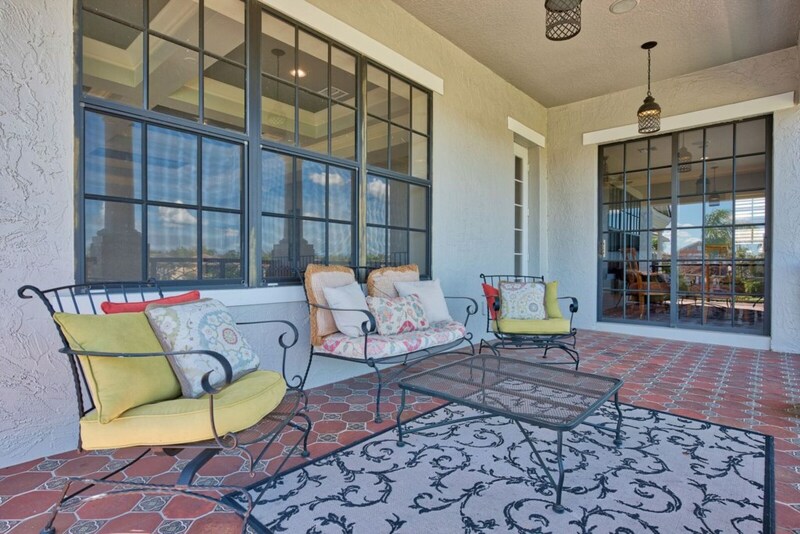 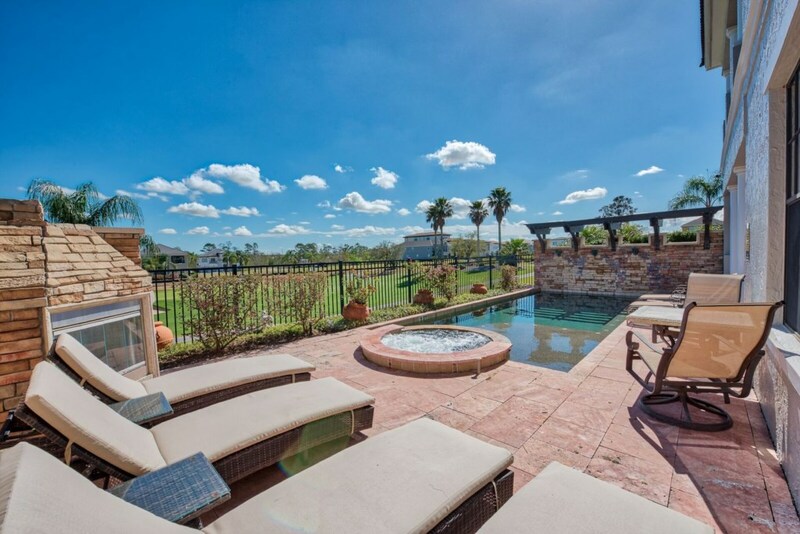 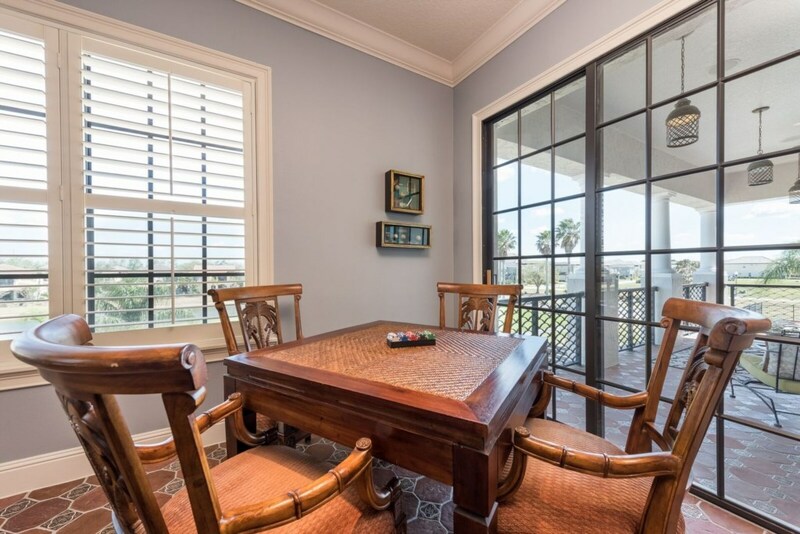 Sliding glass doors provide access and a view of the lovely pool deck and golf course beyond. 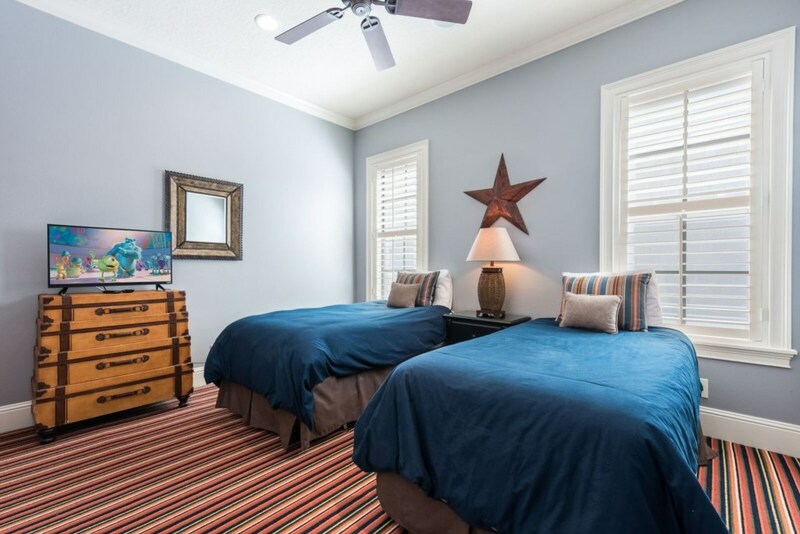 There are three bedrooms on the ground floor, one king-size, one queen size with a shared bathroom. 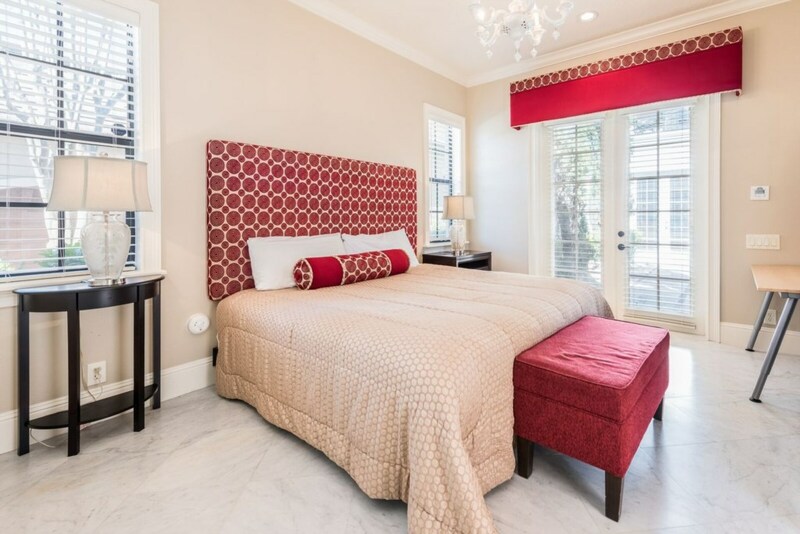 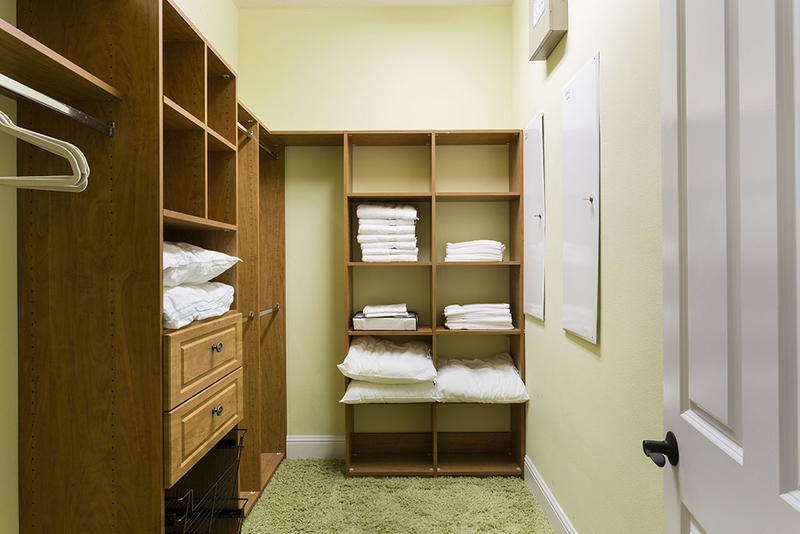 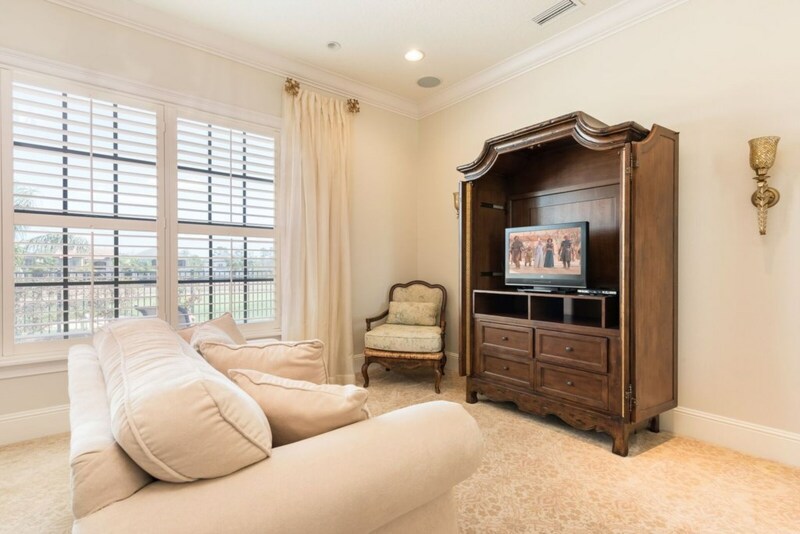 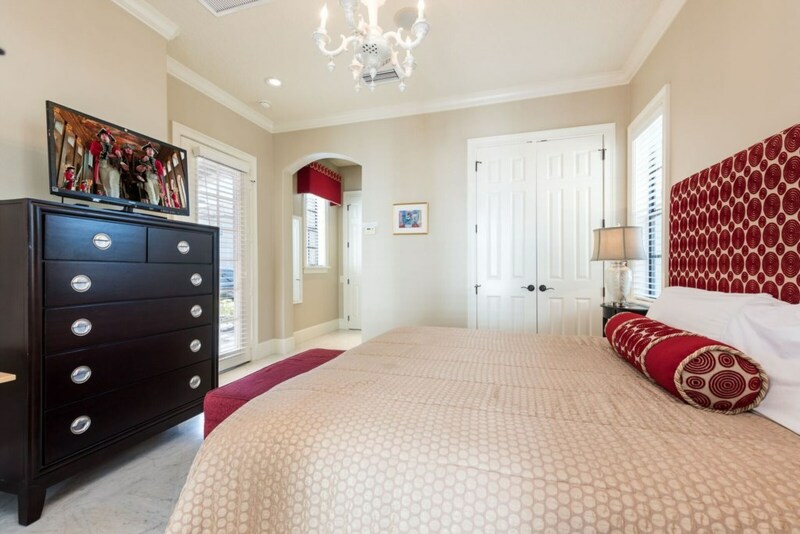 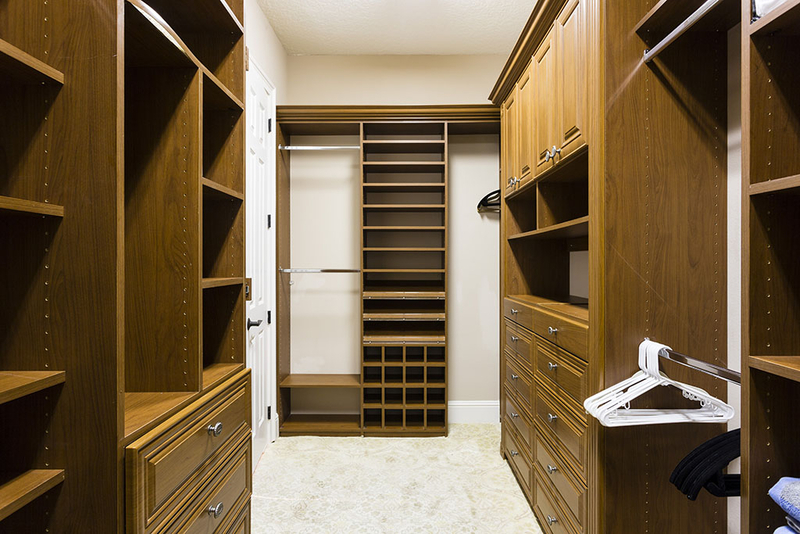 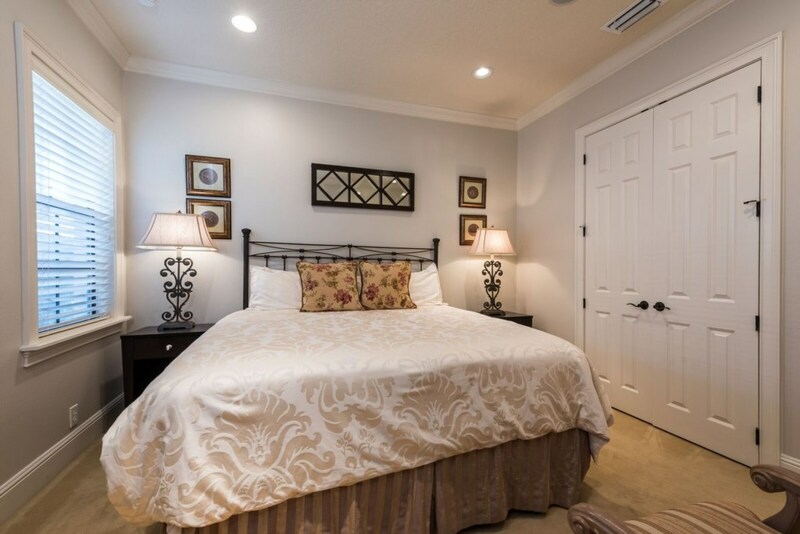 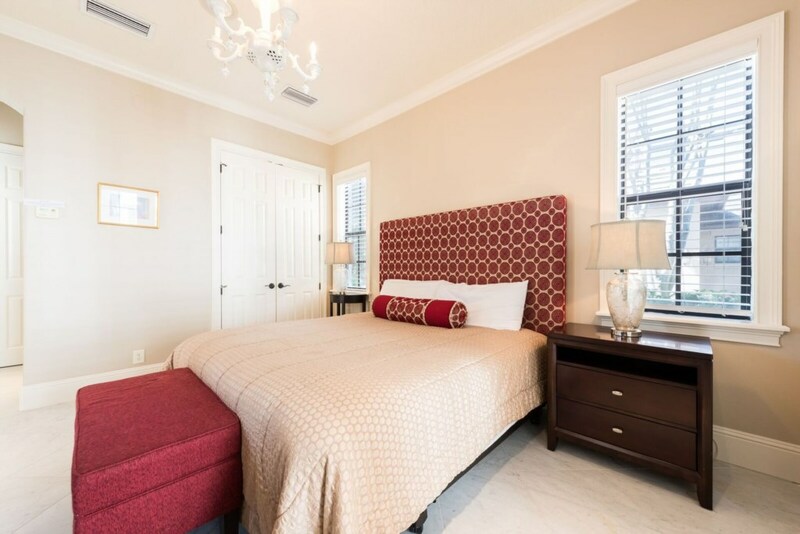 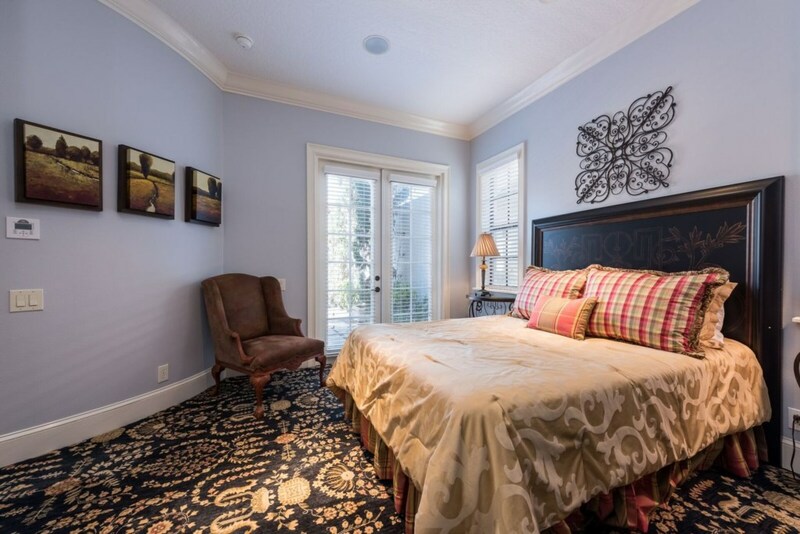 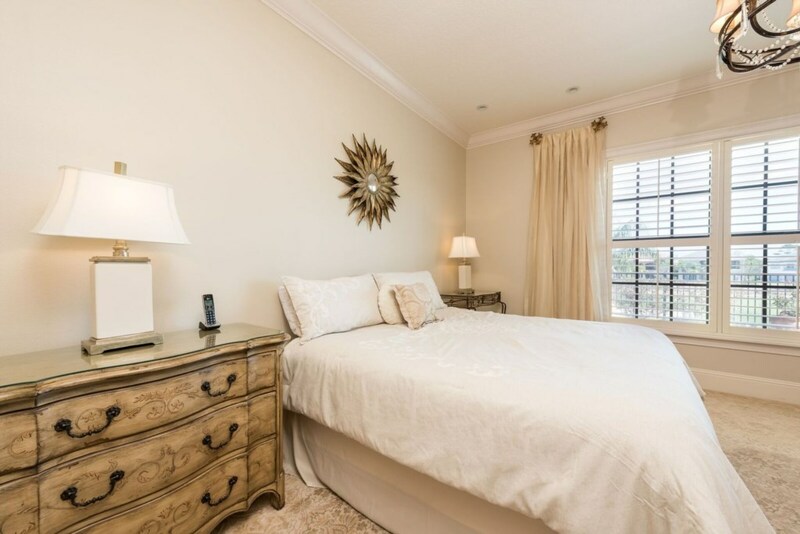 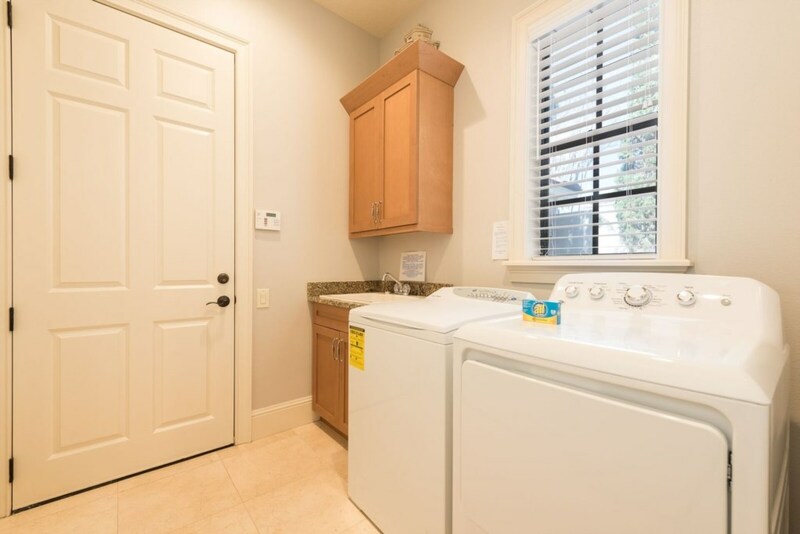 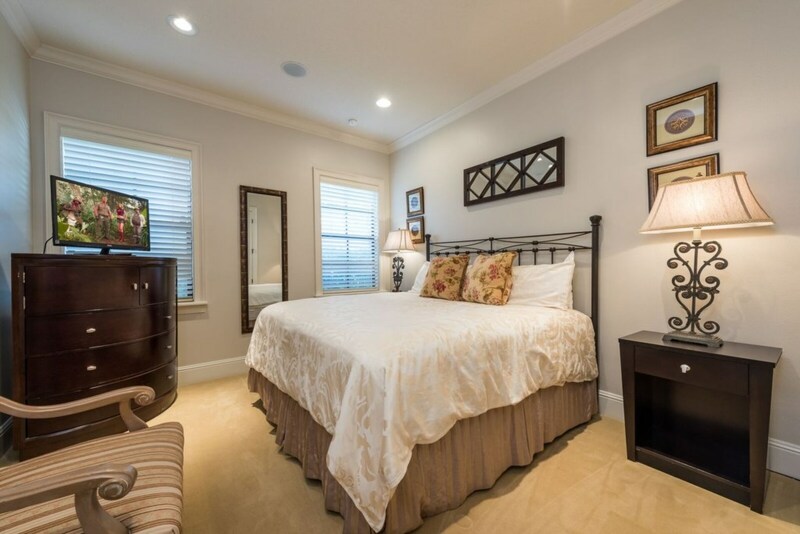 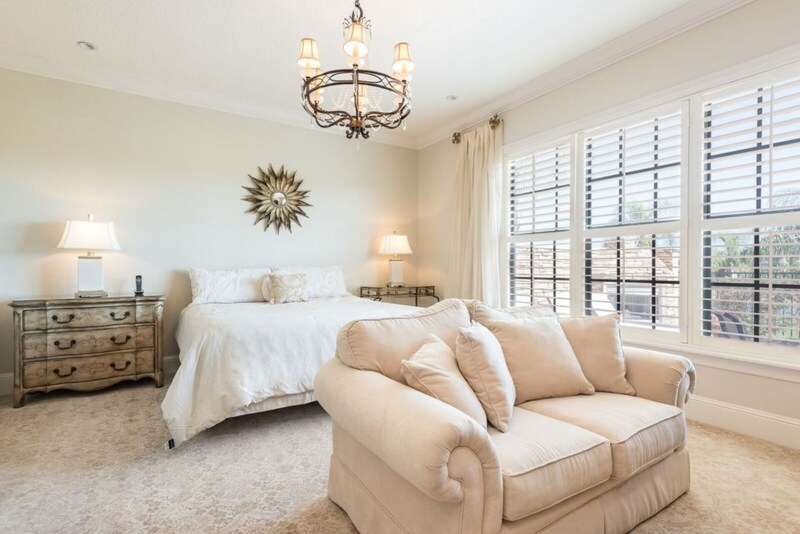 The large king-size master suite is located at the rear of the home with a seating area, fully fitted closet. 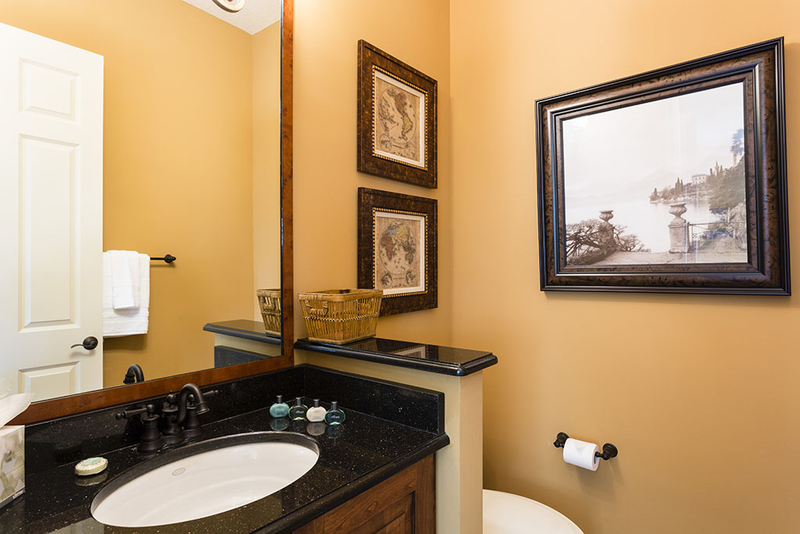 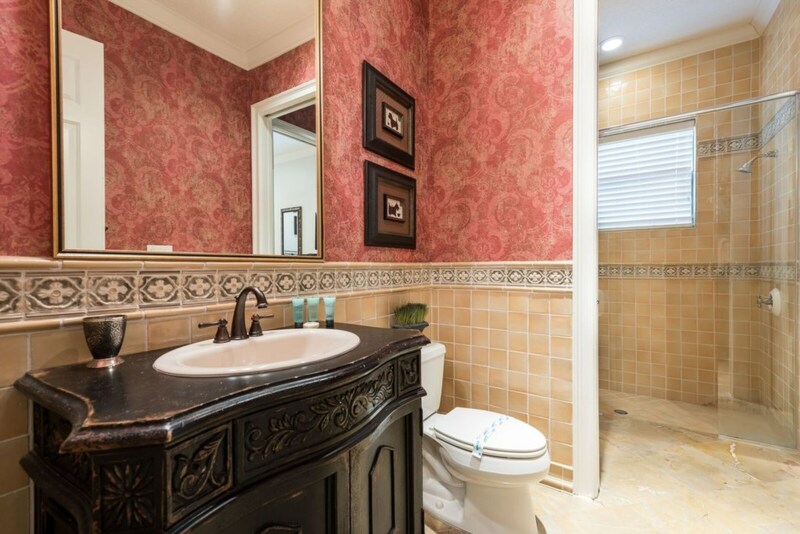 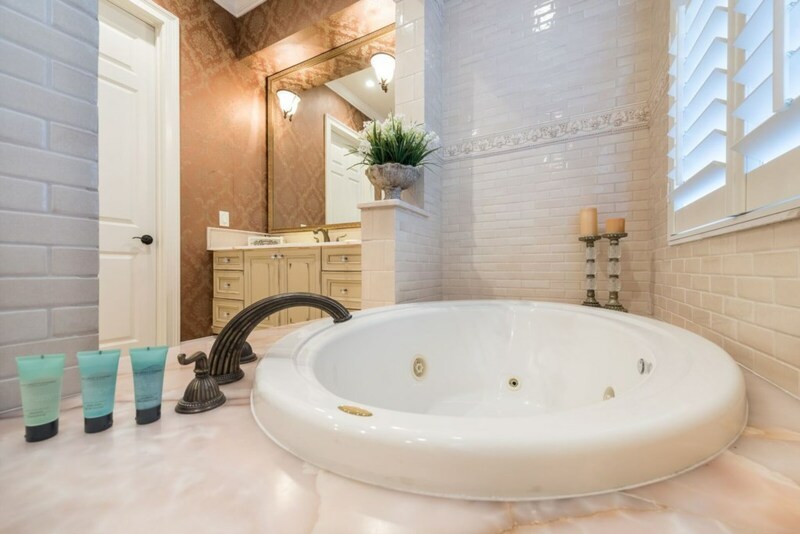 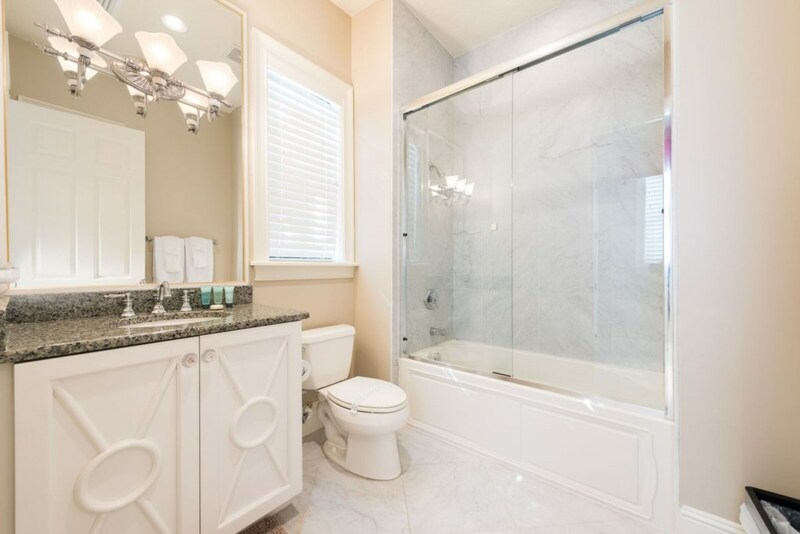 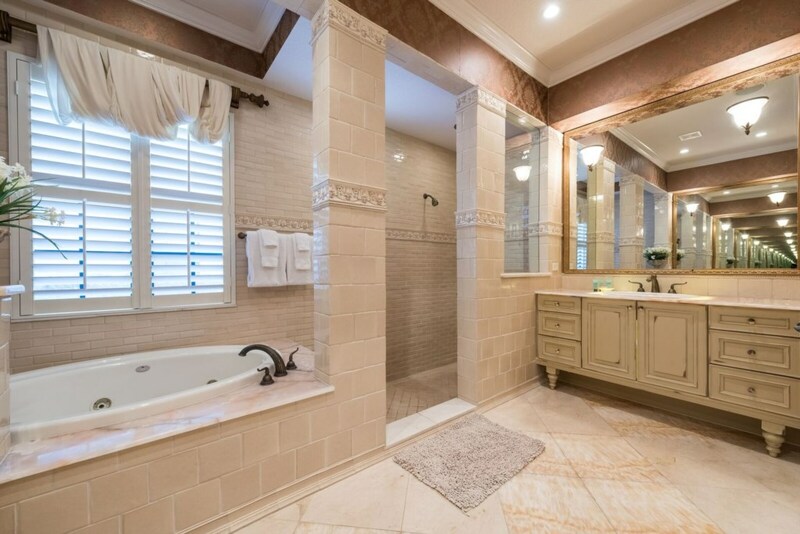 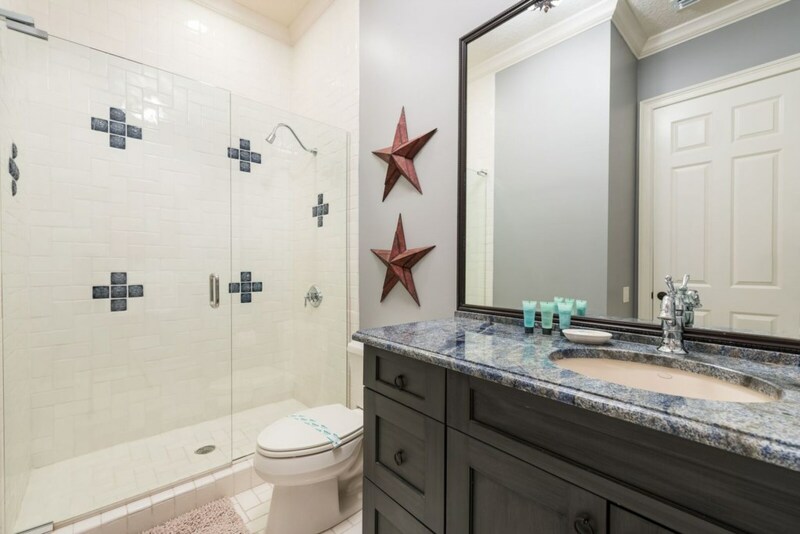 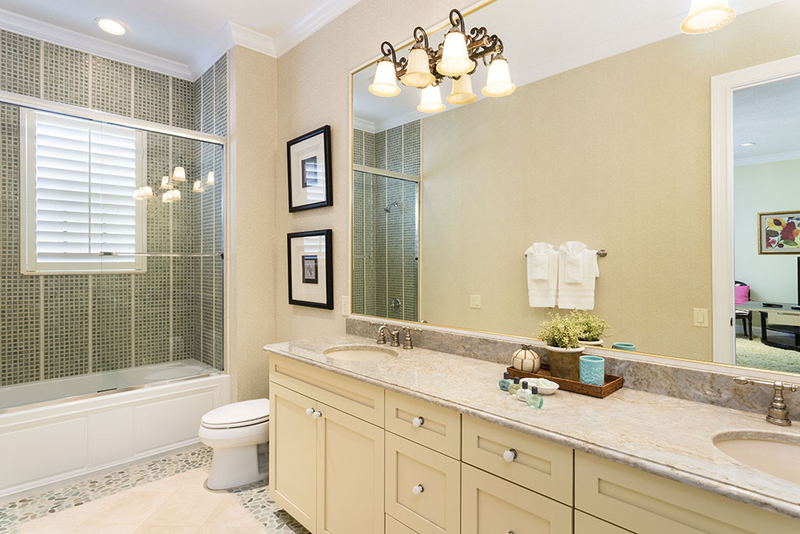 Additionally, the beautiful bathroom having an oval tub, walk in shower, and twin vanities. 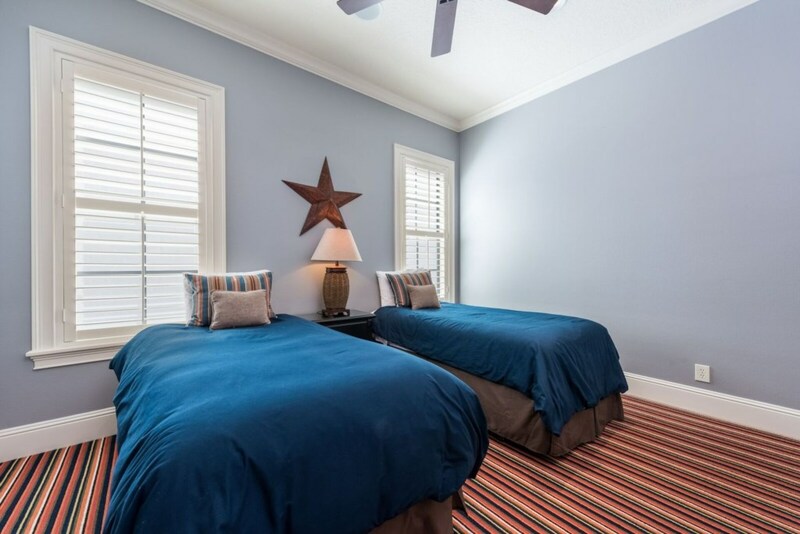 Upstairs are two further bedrooms, one with two twin beds and the other the second king-size master suite, both have ensuite bathrooms. 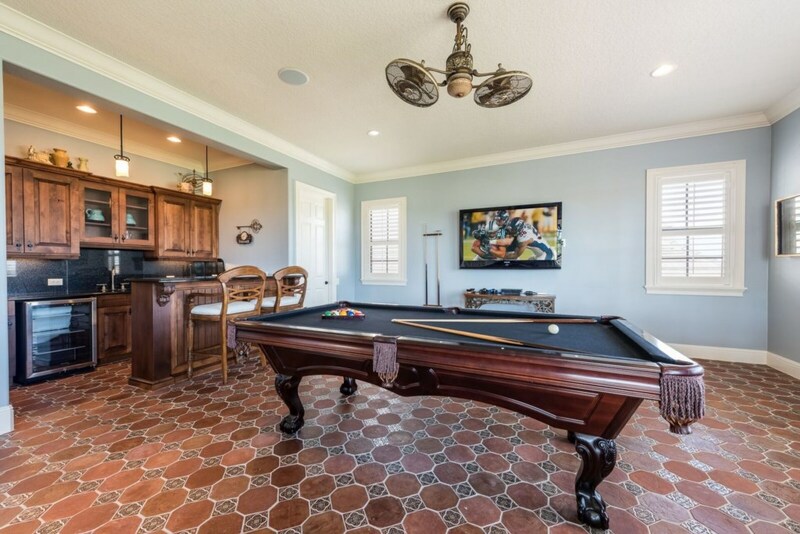 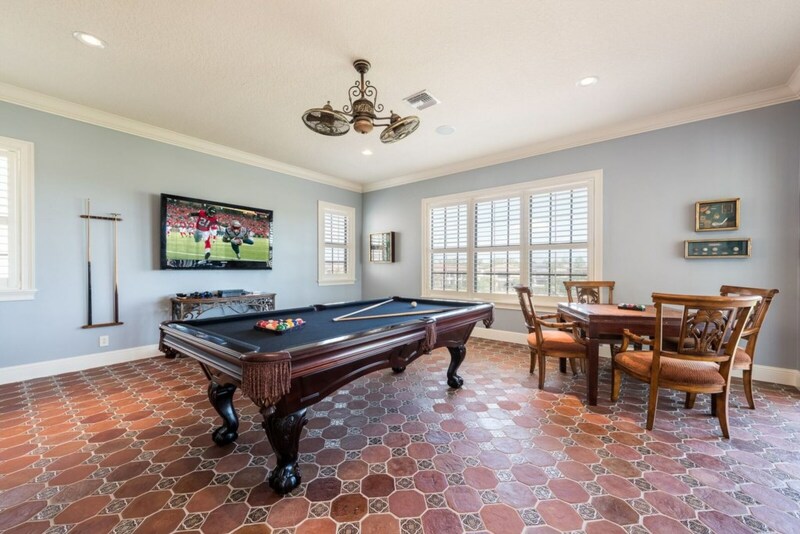 Along the gallery landing at the rear of the home is the games room with pool table, comfortable seating, large wall mounted TV, and built in wet bar with refrigerator. 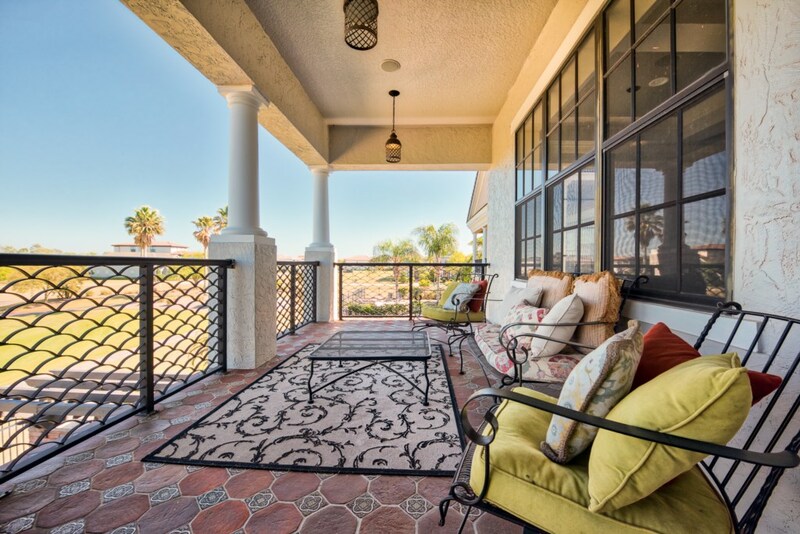 Access onto the rear balcony will provide fantastic views of the pool area, golf course and resort making this a great space to relax at the end of the day.